“After his mother, the beloved Rebel Queen, is betrayed and murdered by her own faithless lords, young Maric becomes the leader of a rebel army attempting to free his nation from the control of a foreign tyrant. 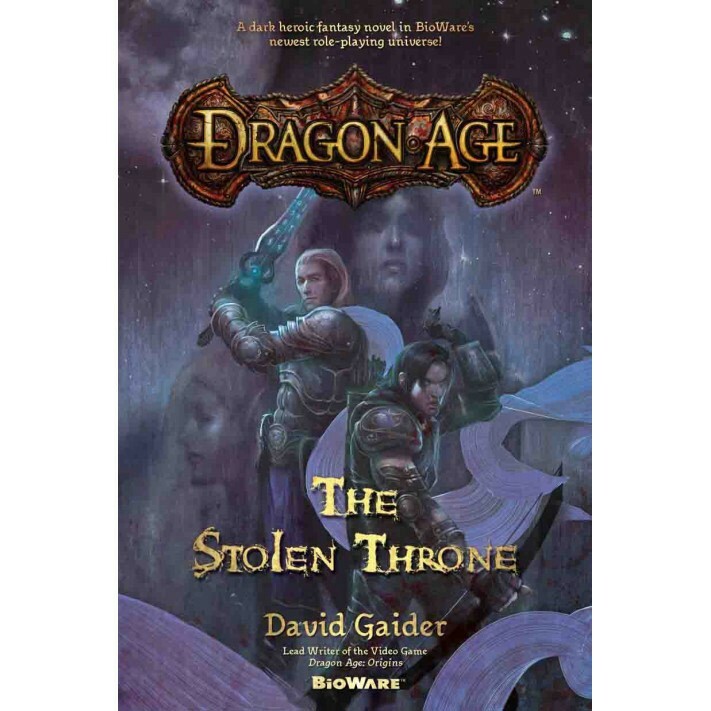 Comments: The Stolen Throne is the first tie-in novel to Bioware’s popular Dragon Age series. However, it’s technically written as a prequel to the series, and written in such a way that it is completely comprehensible to those not familiar with the series. Anyone who enjoys the fantasy genre can enjoy this book. However, for those who are familiar with the series, the first in particular, this is definitely an addition worth having. Loghain is given depths that were only hinted at in the game, and readers are actually shown his talent for strategy that was, though constantly commented on, never really shown. Or never shown working the way he planned. The issue I have with this novel is Katriel. Her presence in the story, while given justification, just felt forced. It felt more that she was just placed there to give Rowan competition, and provide a means of angst. In a book, and series, full of carefully crafted, well-rounded characters, Katriel just feels flat and cliche. Overall, the book is a great read, and one that any Dragon Age fan will enjoy. Maric’s development is well paced, Rowan is a wonderful character, and the situation between she and Loghain comes off as genuine and sympathetic instead of some kind of faux angst. Loghain is explored in depth, and his motivations in the game, while not commendable, become understandable.